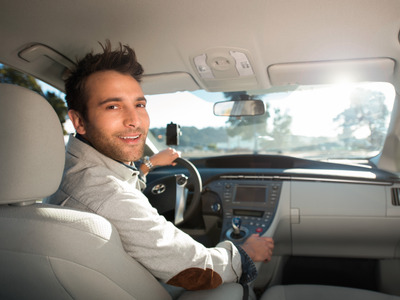 Uber is no longer only on-demand. Starting Thursday, the company is going to start rolling out an option for customers to book a ride up to 30 days in advance. The experiment is starting in Seattle and is so far only limited to riders who have a business profile. The goal is to target those travellers who may be anxious about hailing an Uber at 4am for a flight or someone who needs to schedule an Uber to be there when they finish a meeting. Business travel is just the start, though, and Uber says it plans to make this feature available to all riders eventually. Uber isn’t the first ride-hailing company to test scheduled rides, but it is the first to bring it to customers. When Lyft announced that it was testing scheduling in May, the experiment was limited to its San Francisco employee base. As for the logistics around surge pricing, Lyft at the time hadn’t decided how it was going to charge passengers. Uber, on the other hand, says it has figured it out. In an interview with the Seattle Times, Uber’s director of global experiences, Tom Fallows, said surge would apply at the time of the ride, not at the time of the request. That notification gives passengers a few minutes to decide to cancel or change their scheduled rides if the surge pricing is through the roof or they don’t want to pay that much. For anyone who wants to try it out, Uber is now accepting early sign-ups to be the first in your city.